*Before placing your order please make sure that you read this page in its entirety to ensure you will be satisfied with your purchase. Availability: Due to the limited size of our flock and the number of laying hens, egg availability is limited. Therefore you can place your order at anytime but the order will not be filled until payment is made and eggs are available. We do everything we can to ensure that you receive your eggs as soon as possible. If your egg order will take longer than 4 weeks to fill, we will notify you in the event that you wish to cancel your order. You can also contact us by e-mail prior to placing your order to find out what lead times are on order fulfillment. Pre-Orders: We accept pre-orders so that you can ensure that your eggs are available during a specific time period but we ask that pre-orders be placed at least 4 weeks in advance to allow us enough time to fill your order. Example: You would like your eggs to arrive during the first week of April. You would need to place your order by the first week of March. We can not narrow delivery times to less than a one week space due to egg availability. Shipping: We are not currently offering shipping. All eggs are shipped via USPS and will not be shipped via any other service due to limitations of these other services in our area (drop off locations are limited). We apologize for the inconvenience to those who wish to use UPS or Fed-Ex but the nearest drop off location for eggs is not feasible for our use. It takes USPS 3 days to get the eggs to you and you will need to allow them to rest for 24 hours. Therefore, we only ship eggs less than 3 days old to ensure the best chance at a good hatch rate that we can. Also, to ensure that eggs arrive in as timely a manner as possible we do not ship eggs on Wednesdays or Thursdays. This will most likely result in an extra day in transit which we feel may reduce the success rate of a hatch and is just too risky. We also offer post office pick-up only. The reason for this is that once they arrive they are kept in a climate controlled building rather than spending the day in a truck, in transit, where temperatures are not controlled. Again, this is done to ensure the best possible hatch rate that we can by controlling the things that we can. Packaging (only applies to shipped eggs): Local eggs are placed in an egg carton and handed to you personally. For shipped eggs we individually bubble wrap each egg, place it in a carton, and bubble wrap the carton. The carton is then placed inside a priority mail shipping box and all voids are padded with shredded paper, paper, or packaging peanuts. We do not use any shipping material more rigid than this as creating a “shock absorber” seems to be far more successful in ensuring egg viability. What to do if your eggs are broken: We include an extra egg in every order to help ensure that you get the number of intact hatching eggs that you ordered (and if they are all intact you get a bonus egg! 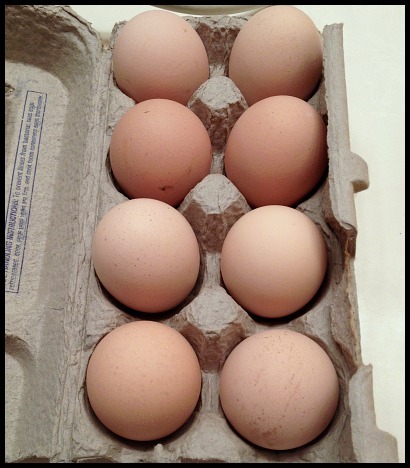 ), however, if more than one egg is broken you will need to file PS form 1000 (7530-02-000-9931) with your post office. At that same time the postal worker will need to also fill out a form PS 2856. This will need to be done at the time you are picking up the eggs. You will need to get a copy of these forms once they are filled out. Please then e-mail a copy of the form along with a photo of the egg to us within 12 hrs of the time you received the eggs. If the form is not filled out/filled out correctly the postal system will not pay the insurance claim and we will not be able to refund or provide more eggs. Please remember that we are a small family, with a small flock, and while we do everything we can to ensure that you are thoroughly satisfied with your experience and have a successful hatch rate, there are certain things beyond our control. We will work with you to resolve issues with broken eggs, however, we can not guarantee hatch rates. Please also realize that due to shipping factors, hatch rates of shipped eggs are typically lower than with locally sourced eggs. A 50% hatch rate with shipped eggs is considered good. By following the above guidelines we have had great success with our own hatches of eggs that we have ordered from other hatcheries in the past, experiencing hatch rates of 70% and greater. If you have a problem with your order please contact us as soon as possible so that we can work with you to resolve the issue. We wish you the best of luck with your hatching. Have a great day and God bless!